Author's Note: this review is for the 1952 European release, not the 1955 recut version. When it comes to the Orson Welles adaptation of Othello, there are two tragedies. The first is the actual story itself: a tale of jealousy, madness and murder most foul. The second is in how Welles essentially had to stumble his way through production, with numerous starts and stops in the filming. One, however, would mostly not notice all the oddities and jumbled nature of Othello. The film itself, though rather short, has some extremely inventive visuals, proving that necessity really is the mother of invention. We open Othello with a funeral and a man chased and caged, so we already know there will be death and retribution. We then go in a more straightforward manner of Shakespeare's tale. Iago (Micheál MacLiammóir) has a burning hatred for his Moorish general Othello (Welles) for being passed over as second-in-command for Cassio (Michael Laurence). Iago's frenemy Roderigo (Robert Coote) dislikes Othello for 'stealing' the beautiful Desdemona (Suzanne Clotier) from him. Her father Brabantio (Hilton Edwards) is displeased too, but is resigned to her 'disobedience'. Sent to Cyprus to stop the Turks, Othello has a victory, but Iago starts his elaborate plot to bring down both Cassio and Othello. His plot involves disgracing Cassio, then getting him to try and have Desdemona plead for his case. The interactions between Desdemona and Cassio are then used by Iago to plant seeds of doubt in Othello about her fidelity, and soon Othello becomes ensnared by that 'green-eyed monster'. Convinced now that Desdemona is Cassio's mistress, with a damning evidence of Desdemona's handkerchief as proof, Othello's rage grows murderous and tragic. With so much death and horror, Othello ends where we began. Othello has a visual style that belies its cobbled together financing. Despite the limited resources we have some excellent moments where we don't notice the economic limitations. Welles has many moments where we do not see the actors deliver their lines, but instead we see the backs of them. It actually lends an air of mystery and suspense, giving the viewer a sense that there is greater torment or fury we can imagine. A shot that Welles uses where we see him reflected in a mirror as Iago fills his mind with false evidence is meant for subtext about how Othello is now a reflection of himself, of his dividing mind before he becomes filled with murderous jealousy. It may be cliched, but it is effective. Welles captures that sense of doom and tragedy and foreboding right at the beginning. It comes not just from the fact that we Othello and Desdemona's bodies carried for burial, but in Angelo Francesco Lavagnino's music. The music is dark, heavy, with a Gregorian chant style that pulsates with menace, even horror. Welles has several shots askew, again subliminally signaling the chaotic nature of this Moorish tragedy. The economic nature of Othello works even when it deviates from the literal text or setting. The attack on Cassio and subsequent killing of Roderigo takes place in a Turkish bath, which is not from Shakespeare's text. It was set in a Turkish bath because the costumes were not ready and a logical place for men to be lightly clothed was needed to have the scene. Here, it works: the steam lending a greater menacing air. In short, visually speaking Othello uses what resources it has at its disposal to lend the story a darker, heavier manner. I cannot say I was particularly overwhelmed by the performances. As much as I like Othello I have never shaken the idea that Desdemona is a weak character, a blank almost dim woman. Clotier's performance does not enhance that idea. Even her final line, "Kill me tomorrow! Let me live tonight!" seems said less in the frantic, terrified manner I think of it in and more as a passive statement. Welles similarly seems more theatrical and not in a good way. He seems surprisingly controlled in his rages. It's hard to mess up Iago, and MacLiammóir is appropriately cold and villainous as our false friend. One can believe his duplicity can deceive so many. 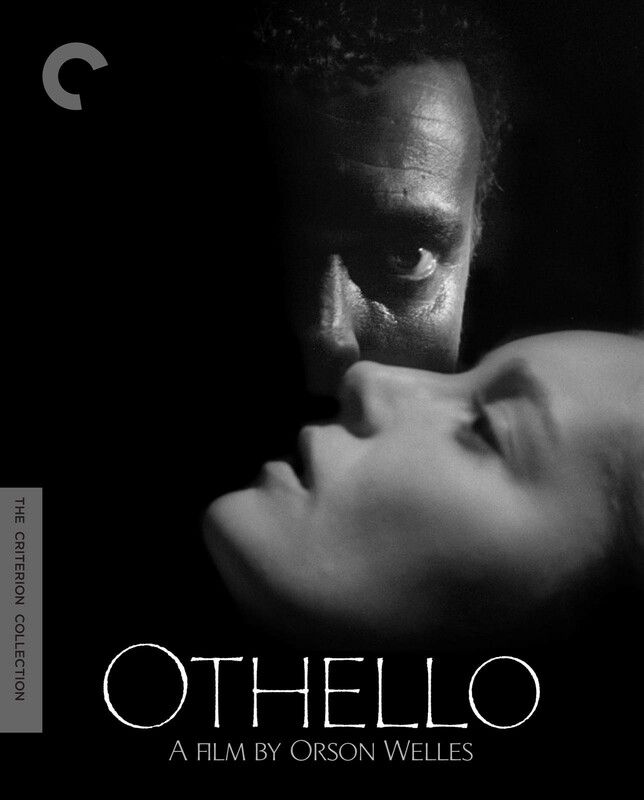 Othello is a visually arresting film, though sometimes the economical manner of it is obvious (a few times it looked like a still photograph was used rather than straight film). I think though that the lack of financing helped lend the film a more frantic quality, matching the Moor's growing desperation and rage. Perhaps it is not the best adaptation, and I leave it to you if Welles in dark makeup is a hurdle (though to be fair, it seems less outlandish than Laurence Olivier's version). It may also not be strictly true to the text. On the whole, however, the visuals more than make up for any of its flaws, making Othello a truly sumptuous and tragic spectacle.